When it comes to protecting both smallholder incomes and the larger global food supply against climate-induced shocks, there are three important factors to consider. Editor's Note: This article was originally published on the World Economic Forum blog. A few years ago, farmers across Central America started finding curious orange spots on the leaves of their coffee plants. Before long, the leaves fell off, leaving the plants unable to produce the beans so crucial to farmers’ livelihoods. 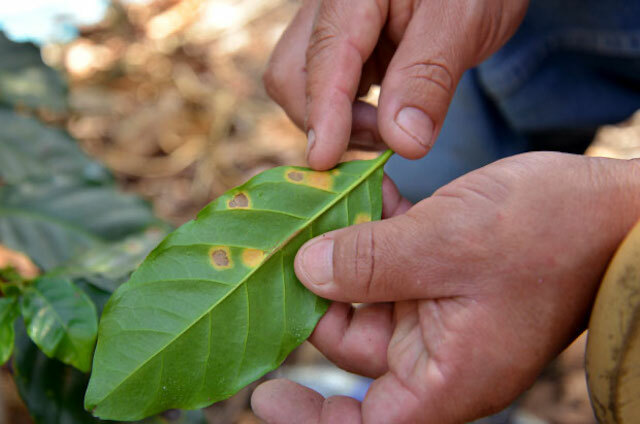 This fungal infection, called coffee leaf rust, had become increasingly common due to changes in weather patterns, likely as a result of climate change. Ultimately, the epidemic would cost the region an estimated $1 billion in lost income. As extreme events become more common, farmers will face challenges for which their years of experience have not prepared them. According to scientists, such events will only become more common in the future, with climate change increasing the frequency and severity of threats such as droughts, floods and crop diseases. Smallholder farmers, such as those growing coffee in Central America, are rarely equipped to handle such shocks. But it doesn’t have to be this way. New research and new approaches have the potential to empower smallholder farmers to be more resilient against the extreme events that threaten their crops. One project that is successfully demonstrating such approaches is the MAS project (or Sustainable Agricultural Improvement) in Honduras. 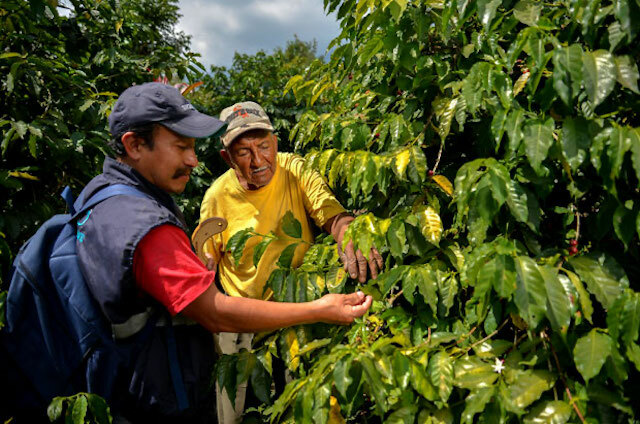 Led by TechnoServe and supported by a grant valued at $11 million from Food for Progress, a U.S. Department of Agriculture program, the project aims to raise the incomes of more than 6,000 coffee farmers. Coffee leaf rust first reached Central America in the 1970s, but the current epidemic struck with unprecedented intensity and reached farms that had not been infected before. Unsurprisingly, many farmers were not ready to fight the disease. As extreme events become more common, farmers will face challenges for which their years of experience have not prepared them. Closing that gap in knowledge and training is hugely important. In the MAS project, we conducted extensive training on best practices for preventing leaf rust: tracking the plants for signs of the disease, regulating humidity, weeding and pruning, and the responsible use of fertilizers and fungicides. 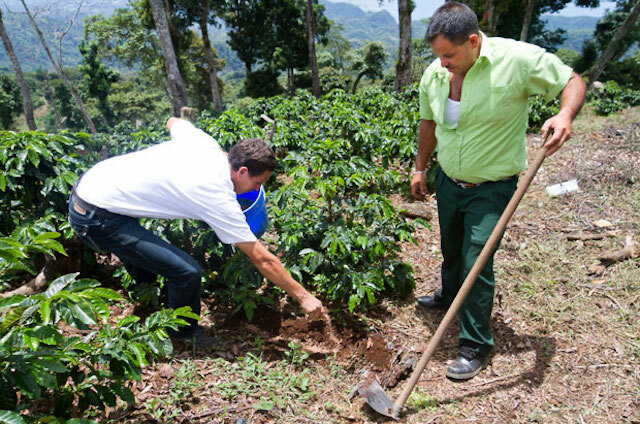 The response has been tremendous, with 3,100 coffee farmers already using new agricultural techniques on 10,585 hectares of farmland. To reinforce this training, the project sent out text messages to these farmers with tailored information about protecting coffee. Sometimes knowledge is not enough. Some of the most powerful tools for building resilience require financial investment from farmers. For food crops like maize and beans, drought-resistant seed varieties and irrigation systems can help compensate for shorter rainy seasons. In the case of coffee, new planting and rejuvenation of old plants can help stave off leaf rust. But smallholder farmers often struggle to make these investments, as every dollar of their income is needed to support their families and keep their farms running, and banks are reluctant to issue what they consider to be risky loans to farmers. So, in Honduras, we have worked to facilitate access to finance to pay for these necessary inputs. With our partner, the non-profit Foundation for Rural Business Development (FUNDER), we are strengthening the network of cajas rurales – rural banks and credit unions that work with farmers, benefiting more than 6,300 of them. Additionally, nearly a dozen new partnerships have leveraged more than $6.5 million in investments for small coffee farms. 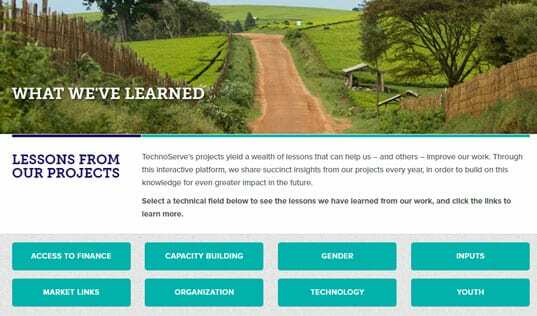 Working together, the private, public and non-profit sectors are enabling farmers to access the tools they need. Credit is not the only way that farmers can access funds for reinvestment. With higher regular incomes, smallholder farmers have extra cash to invest in their farms. 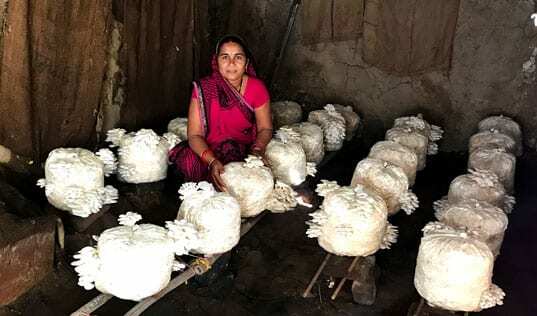 And one of the best ways to raise the incomes of smallholder farmers is to link them to value chains that pay a premium over the local commodity price and allow them to capture a larger share of those price premiums. 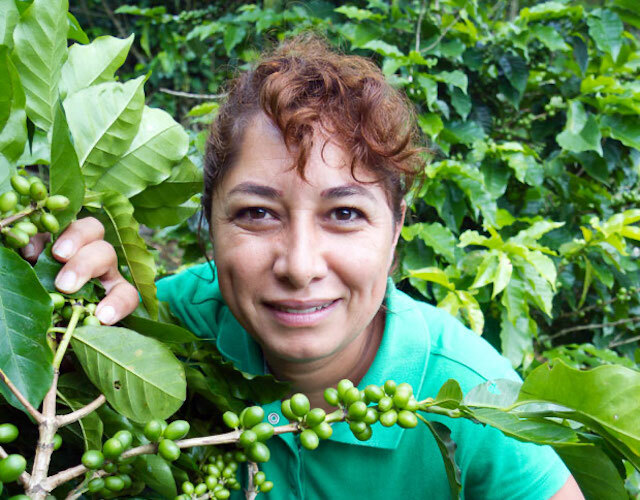 For the coffee farmers of Honduras, the specialty coffee market promises greater margins and higher incomes. We work closely with producer organizations, which group together smallholder coffee farmers, to improve the quality of their harvests. Between the 2014 and 2015 harvests, the share of participating farmers’ coffee beans which were rated as “superior” rose from 59 percent to 83 percent. 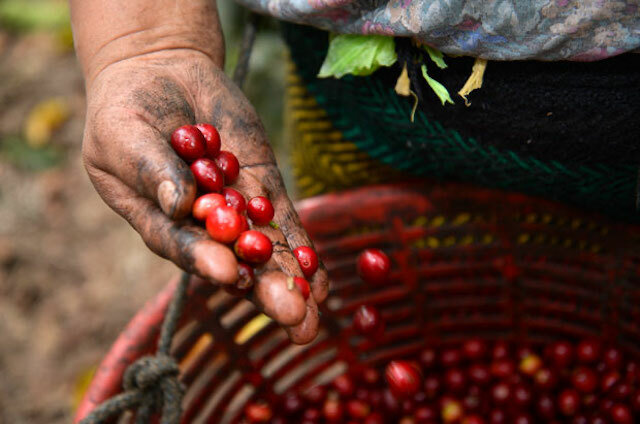 In a country where the vast majority of farmers traditionally sold their coffee to middlemen, we have also strengthened the ability of producer organizations to sell directly to exporters. As a result, farmers are taking home a larger share of the sale price. Participating farmers now earn an average premium of $0.50 to $0.61 per pound of coffee above the local commodity price and have increased their revenue by an average of $1,400 (with farmers who sold their entire crop under the marketing contract making an average of $4,403 in additional sales). Those extra earnings allow them to invest in inputs to grow their income further and protect against leaf rust. With higher income, access to credit, and training, the percentage of farmers rehabilitating their farms has increased fivefold. Building resilience among smallholder farmers is not just about protecting – and growing – their incomes. It’s also about maintaining global food security in the face of an increasingly unpredictable environment. So the international community may continue to debate its response to climate change, but smallholder farmers can now take charge of their own response. 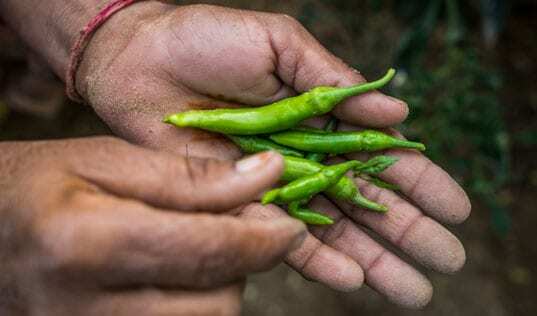 Many of these farmers are acutely aware of the risks posed by climate-related shocks, and eager to take steps to protect their farms and incomes. Combined with support from programs such as this Food for Progress-funded initiative, we have found that real progress is possible in the face of an intractable global challenge.